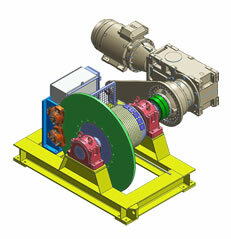 Scope: Supply 16 off 22 tonne and 4 off 11 tonne Take-Up Winches complete with 800mm & 630mm sheaves. 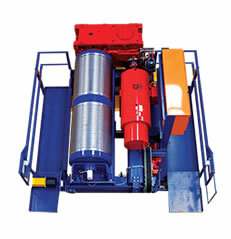 After successfully won and supplied the first batch of winches and sheave, Eilbeck Cranes has been awarded the contract to supply second batch of winches and sheaves. The Take-up System on each conveyor is designed to tension the conveyor belt by means of a suspended weight. The gravitational force on the suspended weight is transferred by means of a wire rope system to a trolley mounted take up pulley. The system required a winch to lower the suspended weight and thereby releasing the tension on each conveyor belt, allowing maintenance activities on conveyors to be conducted. 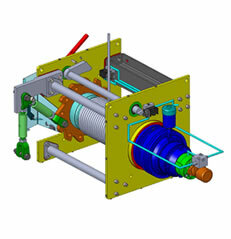 Eilbeck was contracted to design the Take-up System components for continuous loading and a load spectrum in form of the two GP winches for use in belt pulling during maintenance activities. 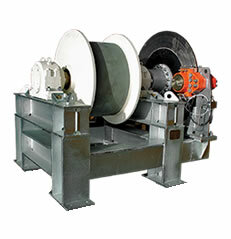 Electric driven wire rope type winching units were designed for safe operation across the full range of loaded capacities and at the specified speeds. 67 off Sheaves ranging from 700mm to 1120mm. 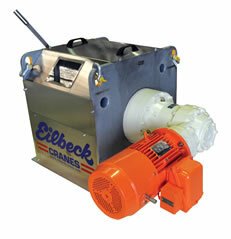 Eilbeck was commissioned to supply 16 off 22 tonne and 4 off 11 tonne take-up winches complete with 800mm & 630mm sheaves. 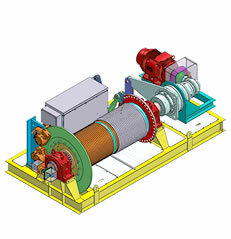 After the supply of the first batch of winches and sheaves, we have been awarded the contract to supply the second batch of winches and sheaves. 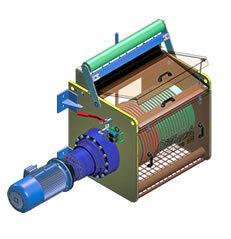 These are quality custom made winches built with an integrated engineering solutions with special electrical systems. The Cape Lambert Port B Project (CLBB) comprises the construction of a new port facility adjacent to the existing one. This will involve the construction of new train unloading infrastructure, stockyard and screening facilities, ship loading facilities (including a new wharf) and associated dredging. 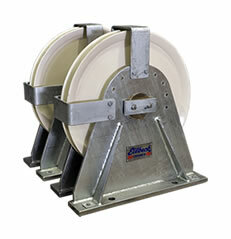 The Take-up System on each conveyor is designed to tension the conveyor belt by means of a suspended weight. The system must include a winch to lower the suspended weight and thereby releasing the tension on the conveyor belt, allowing maintenance activities to be carried out on the conveyor. The gravitational force of the suspended weight is transferred by means of a wire rope system to a trolley mounted take-up pulley.